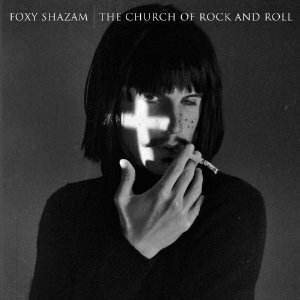 Discussions Magazine Music Blog: FOXY SHAZAM/The Church Of Rock And Roll: Available January 24th, 2012! FOXY SHAZAM/The Church Of Rock And Roll: Available January 24th, 2012! 2012 release, the fourth album from the Cincinnati outfit. Foxy Shazam is made up of six individuals. Eric Nally (vocals), Daisy (bass), Aaron McVeigh (drums), Alex Nauth (horns), Loren Turner (guitar), and Sky White (piano). The band's name came from a saying in high school meaning "cool shoes." Eric Nally states that going to an all-black school influenced his soulful singing and has added flare to the band's overall style. Foxy Shazam has worked with critically acclaimed producer John Feldman who has worked with Neon Trees, Plain White T's, and Panic! At the Disco.